Croft and Graves Optometrists specialise in bespoke eyewear, offering you made-to-measure spectacles for the ultimate fit. With globally acclaimed brands such as Prada, Tom Ford, Lindberg, Serengeti and Tom Davies on our shelves, it’s no wonder we’ve built a reputation for stocking some of the most fashionable eyewear in the North East. Our extensive collection features over 500 frames, with couture designer brands and core ranges to suit every age, lifestyle and budget. In fact, we’re so confident in the quality of our eyewear that we offer a two-year manufacturing guarantee on every pair. Our dispensing team have many years’ experience matching clients with their ideal glasses, and are always on hand to offer advice when you’re making that all-important decision. We also offer all our clients a bespoke eye-style consultation to identify styles to suit your face shape, skin tone, lifestyle and personality. Our key partner for the lenses we use in our spectacle frames is Hoya. For 75 years, Hoya’s revolutionary technologies have been pushing the boundaries of optical solutions for customers on a global scale. They are truly leaders and innovators in the use of the latest medical insights and cutting edge manufacturing techniques. Their ‘eye for detail’ strap-line fits perfectly with their dedication to quality and innovation. Hoya’s comprehensive range of corrective lenses ensure we can find the perfect lens for your individual vision needs. Many people underestimate the damage that the sun can cause their eyes – even in Northumberland! Sunglasses are an effortlessly cool way to block harmful UV rays, so make sure to invest in high quality shades to protect your family’s vision.All our sunglasses have optical quality lenses and can be made with your prescription or simply purchased off the shelf; perfect if you want to pair them up with the use of contact lenses. We stock an extensive range of designer sunglasses, including the latest collections from major brands including Serengeti, Ray Ban, Prada, Tom Davies, and Tom Ford. Our dispensing team hand-select new designs each season and are able to glaze most glasses with tinted coatings to match virtually any existing lenses. 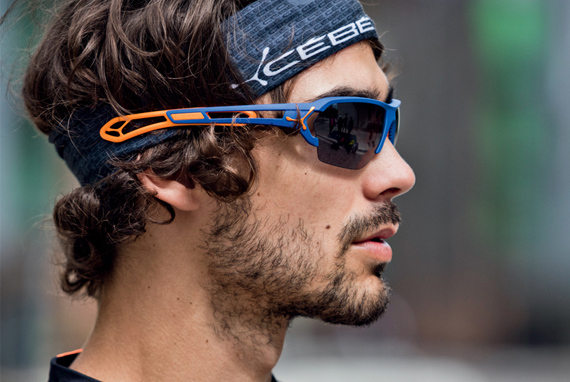 Whether you’re a keen golfer, cycling enthusiast, regular swimmer or an avid skiier, we stock an impressive array of sports eyewear to protect your vision and boost your performance. World-class brands include Bolle, Cebe and Serengetti. Our sports eyewear can be purchased either with no prescription or with prescription lenses or inserts. Many items are kept in stock to view but if there’s something we don’t have, we will source it for you. At Croft and Graves, we are committed to giving you great value using high quality products and confident of the value we offer. We call this our “price promise”. We also know that price is very important, so we check the prices of our glasses regularly to make sure we are competitive. Because we are proud of the value we offer, we are prepared to back it up with our price promise. We provide a two-year manufacturing guarantee with every pair of glasses purchased. If within this time you find a defect in your glasses** we will repair or replace them for free. Should we have to replace your frames and the identical frame is not available, then we will replace it with a suitable alternative to the same value.